The Jaguar F-Pace has been with us for a year now, and in that time it’s impressed the world with its good looks and sporty handling. But its engine range has been rather diesel-biased, with nothing other than performance-focused six-cylinder units drinking from the green pump. That’s now changed, however, with the introduction of an all-new four-cylinder Ingenium petrol engine to the line-up. On paper, Jaguar's shiny 2.0-litre offers a good mix of performance and fuel economy, linking 247bhp and 269lb ft of torque with claims for 38.2mpg combined. It brings the F-Pace’s weight down to 1760kg too – admittedly still no featherweight, but it’s a heady 101kg less than the V6 petrol version, which will only help with front-end response. The 2017 F-Pace also gains Jaguar’s latest optional - and very good - InControl Touch Pro infotainment system, which costs £2670 and features a 10.1in central touchscreen and a 12.3in digital instrument cluster. The former is significantly more responsive than the old system and has higher-quality graphics, as well as dual-screen pixel technology that allows passengers to do things like watch a film on the same screen that’s displaying driving data or sat-nav instructions to the driver. While it’s not new to JLR, it’s the first time this tech has been fitted to a Jaguar. For those not willing to fork out the extra cash, the car’s standard system has an 8.0in screen and older software, but it does still get sat-nav and a DAB radio. Our drive is in an R-Sport trim model with 20in alloys wheels, and it rides very well over the bumps and undulations of British B-roads. The 2.0-litre engine comes mated exclusively to the eight-speed automatic gearbox and with four-wheel drive, so there’s no rear-wheel-drive manual option to really attack these roads. However, the worthwhile £160 option of Jaguar’s configurable dynamics adjustable dampers does help you to make the most out of bends. You can firm up the dampers in Sport mode, and with this body control is very good - on par with the class’s best - but the eight-speed gearbox feels a little hesitant to act when the motor is worked hard and can therefore hamper the experience. Downshifts in particular can take about half a second to respond, and while you might be inclined to cut an SUV some slack in this department, the car’s arch-rival, the PDK-gearboxed Porsche Macan, shows how high the bar has been set. This new engine is more responsive than Jaguar’s older four-cylinder petrols and when pressed can accelerate the car from 0-62mph in a respectable 6.8sec. Next to the F-Pace’s more frugal diesel options, the petrol is clearly best suited to town driving, but point the nose at an open stretch of tarmac and the unit happily revs freely too, although it never reaches the point of feeling particularly quick. Unlike the diesels, it lacks mid-range grunt – even the four-cylinder diesel has 37lb ft more - so is not so suited to hard motorway work. In its defence, the story is much the same with the four-cylinder petrol Macan, illustrating that the issue is a symptom of the type, rather than this specific unit. There is one standout benefit of the new engine when charging along at pace - its lighter weight. It gives the car a nose that resists understeer even more and makes the four-wheel torque vectoring more noticeable when powering through a corner. Like the Macan, the F-Pace does a great job of impersonating a hot hatch when trail braked into a bend, resisting body roll and even lending its back to tighten the line with small slides. But as soon as you get back on the power you’re reminded that the lump up front could do with a bit more torque, confirming that this engine will offer its best in less sporting environments. 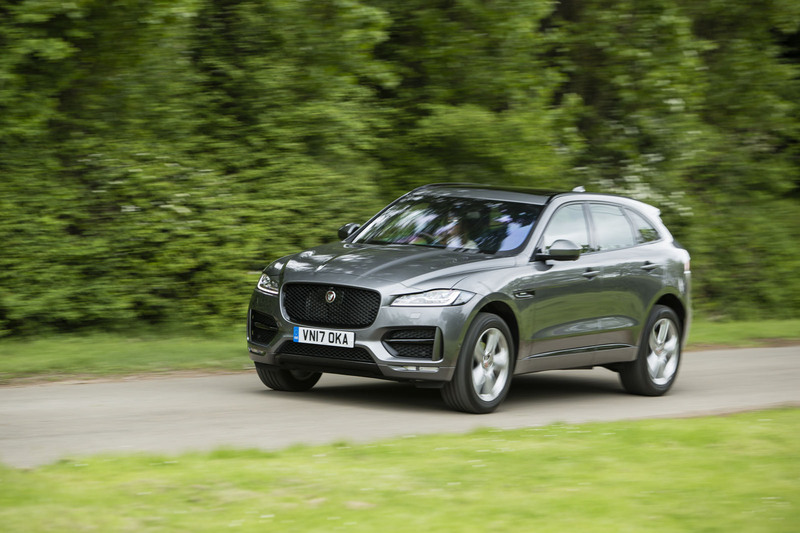 The timing of the Ingenium petrol engine’s arrival in the F-Pace range couldn’t be much better, as public perception of diesels – particularly in urban environments – is at an all-time low. People nervous of impending tax hikes and pricier parking permits may be drawn to a small capacity petrol engine that gives respectable fuel economy and has just about enough poke to be entertaining. But for those wanting an effortless mile-muncher, the F-Pace’s diesel units – especially the most potent V6 - remain the ones to go for, while the hot V6 petrol is still the driver’s choice. Which is good news, really, because it proves that Jaguar’s latest engine has plugged an empty gap in the line-up, rather than treading on the toes of any existing options. 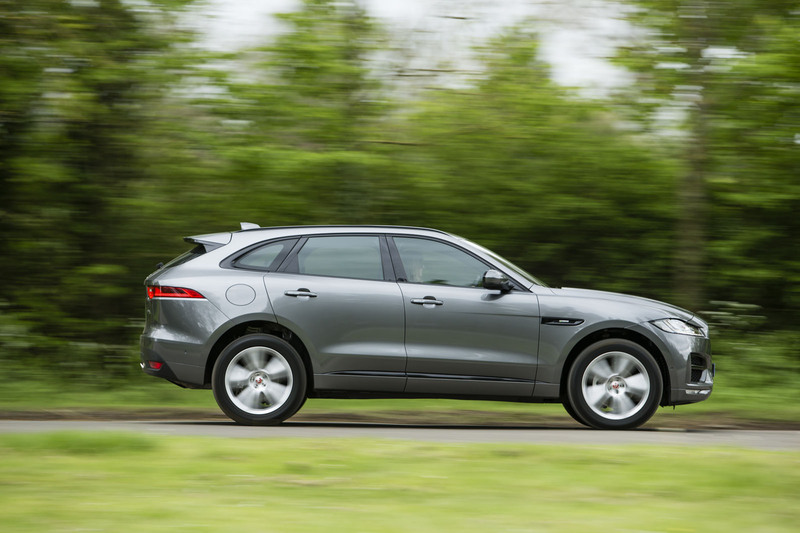 It serves to make the F-Pace a more comprehensive rival to the Macan, and extends the line-up to better compete with more conventional SUVs such as the Audi Q5. How's the engine sound and refinement? Pricing looks thick to me for a 2.0petrol. Didn't the XJ also have the view film from passenger seat feature? Even if the gearbox is slightly slower than the macan from a reliability point of view aND LONGER TERM RESIDUALS WILL BE FAR BETTER THAN A PDK TOO MANY FRIENDS HAV EHAD PROBLEMS WITH THESE PDK DSG TYPE BOXES. No no no....in a VW product....unreliable, you mist be mistaken! yes, very little info on the character of the engine, as a previous poster commented.....NVH, turbolag....real world FE figures??? Nice grill. But I have to say I find the rest of the car incredibly bland to look at. Dull and generic, and the interior is as bad. Disappointing, an opportunity missed, and quite possibly a sign of a lack of clarity of purpose and possibly a failure of courage from an expanding company. I'm sure it's a good car, but so too are most new cars really. They all do a good job once you identify what their particular job is. This one strikes me as fairly routine attempt to plug into a niche, and doesn't really excite in any way . Not visually, anyway, which I always consider a prerequisite of anything bearing the Jaguar label. And if it's job isn't to excite, what is it? The F-PACE has just been made the 2017 World Car of the Year and the 2017 World Car Design of the Year - so several industry figures clearly like it as is. Like many a world car of the year and other award winners, it was no doubt designed to satisfy many and offend few. It will succeed. But I regret its lack of aesthetic ambition. That is all I'm saying. I have no doubt that many people will find it more than acceptable. Desirable, even, at a pinch, and I wish them all much happiness. I shall look for something more visually exciting, and hope others will enjoy doing likewise. My disappointment is not with the fact that we have another pleasant enough but ordinary-looking car, but that it is Jaguar that has chosen, or been forced to choose, this ultra-conservative design route. I've promised myself a new Jag for my 60's birthday, (in October), either an F Pace or an XE 4x4, but this won't be the engine of my choice, me hoping that the 240 PS diesel Ingenium engine, (as available in the new Disco), has been introduced by then, if not, I'll wait. I think that will be the sweet spot of both ranges, and can't understand, (apart from them perhaps needing all the 240 ps engines they can build currently for the new Disco), why it isn't available in both these models, models that to me are just begging for this engine.